Disney's Extremely Goofy Skateboarding is a skateboarding game with mechanics similar to the Tony Hawk's Pro Skater series, but aimed at younger players. Two Disney characters, Goofy and Max, can compete in 4 worlds with 3 levels each. The locations include canyons, a beach, a fair, a town, a skate stage and more, but not all of them are available right away. In the first game type, the character needs to collect a number of items. There are 3 goals per level and when two have been completed, a key appears, granting access to a next part. Goofy and Max provide tips in the beginning. The second game type, Tech, has a time restriction. 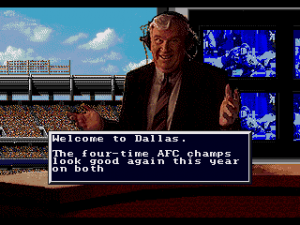 The player needs to score a set amount of points to proceed. The best routes are marked with an orange arrow and tricks can be combined into combos. 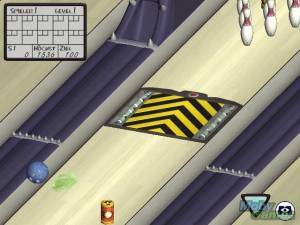 The third mode, Super Skate, allows free play on the unlocked tracks and the fourth mode is used to practise tricks. After selecting a specific trick, the button combinations appear on the screen and after a demo players need to repeat it. 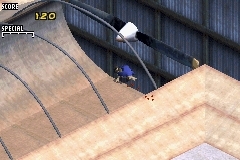 The final game mode, Fun, is a large half pipe in an arena. It is only available when all locations have been unlocked.